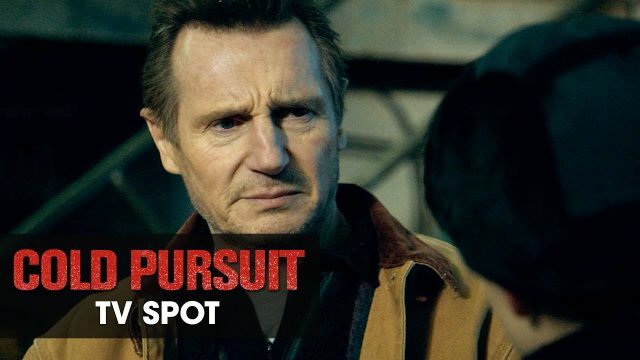 Lionsgate has released new TV spots for Liam Neeson’s latest revenge thriller Cold Pursuit, highlighting Nels Coxman’s determination for having the perfect revenge plot for the murder of his son. The film is set to hit theaters on February 8. Check out the videos below! Cold Pursuit, formerly titled Hard Powder also stars Emmy Rossum (Shameless) and Laura Dern (Wild), and follows Nels Coxman (Liam Neeson), a local snowplow operator recently named Citizen of the Year of his small Colorado ski town for keeping the roads open through the winter. Nels’ quiet life with his wife (Dern) abruptly spins out of control when their son is unjustly murdered by a local drug cartel. Taking the law into his own hands with only the tools of an outdoorsman and snowplow driver, Nels sets out to find those responsible but inadvertently ignites a gang war that threatens to engulf the town — unless he ends it first. The film will be produced by Michael Shamberg (Django Unchained, Pulp Fiction) for StudioCanal, the European studio who previously made Neeson’s hit actioner Non-Stop. The film was written by Frank Baldwin (the upcoming The Warriors TV series), and directed by Norwegian helmer Hans Petter Moland, who also directed the original film. The post New Cold Pursuit TV Spots: The Perfect Revenge is All In the Execution appeared first on ComingSoon.net.